Moving from a system with a physical server to a system in the cloud is an adjustment for everyone. Most applications are now hosted in the cloud, and fewer and fewer applications require you to save files to your physical drives. This allows for accessing your data from multiple locations. This can create confusion because your files are no longer located in a hierarchal folder structure that we have been used to for many years. 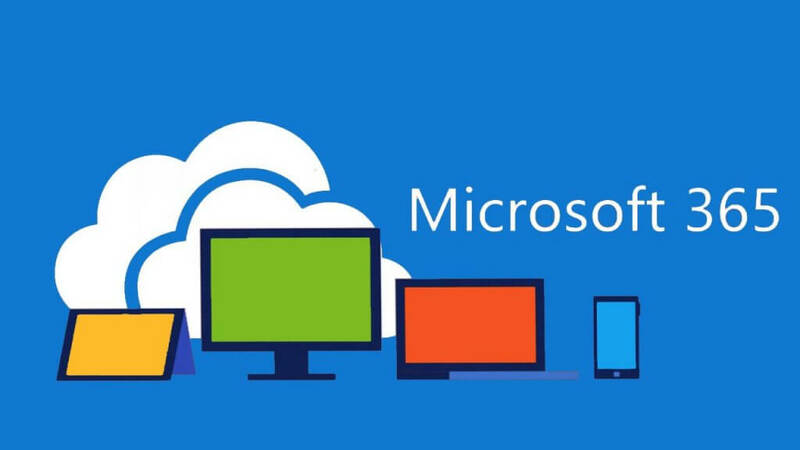 Being in the cloud, Microsoft 365 structures your files differently. You no longer have to remember where a physical location resides. Your files are available to you through multiple applications at the same time. So the answer to where are my files? Simply, they are in the cloud. The “cloud” is simply just a metaphor for the “internet”. Instead of saving your files on your hard drive, they are being saved in one of Microsoft’s many data centers. That’s it. All of your files in one way or another reside in SharePoint. Even if your organization hasn’t implemented a SharePoint site, this is the central location for your files. 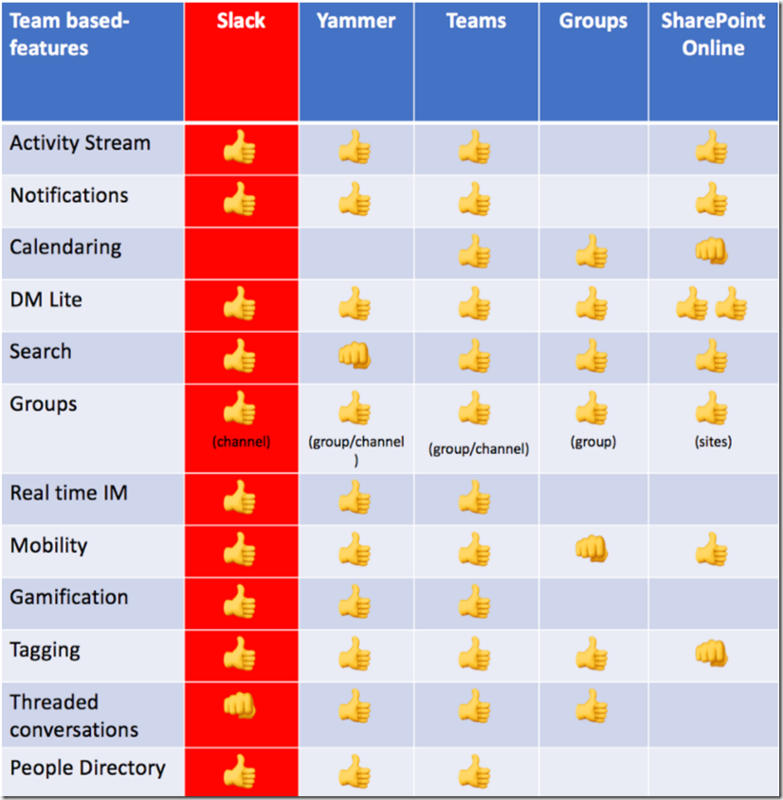 You can think of SharePoint as the main file structure for your organization, similar to a shared drive in traditional physical server environments. If your company is finding it difficult to navigate the cloud, it might be a good idea to look into a SharePoint site, which would assist in structuring your files specific to your organization’s needs. We suggest that a professional is hired to build this, as it can quickly become very messy. Harbor Computer Services offers a full consultation and implementation service for SharePoint. Individual organizations may or may not have set procedures on where to save files, so if there is no direction on where to save a file, it’s a safe bet to save your files in OneDrive for business. Think of OneDrive as replacing a User drive in a traditional environment. 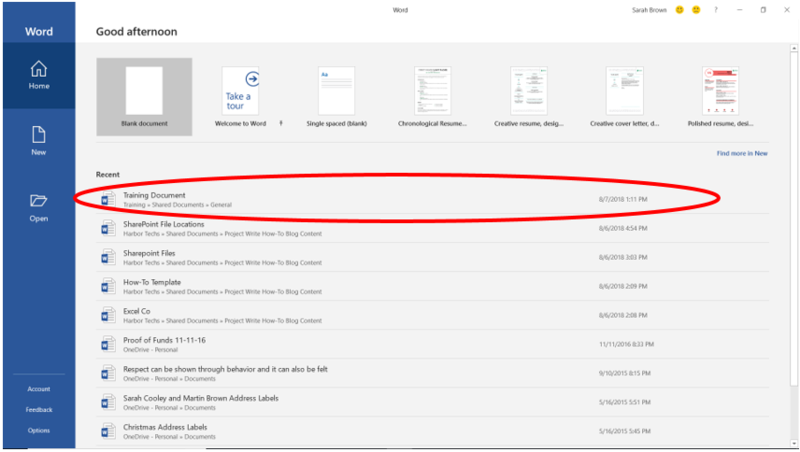 OneDrive files are by default only accessible by the individual user. 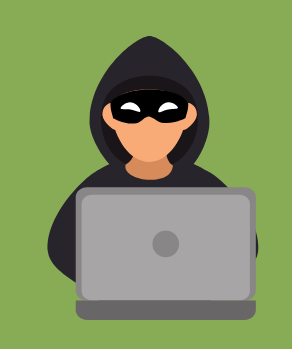 Though it is never advised to mix your personal (non-work related) files with your work files, they would be inaccessible by other members of your organization, unless you share a specific file or folder. Teams is unique in that it isn’t a place to create files, but a place to collaborate. 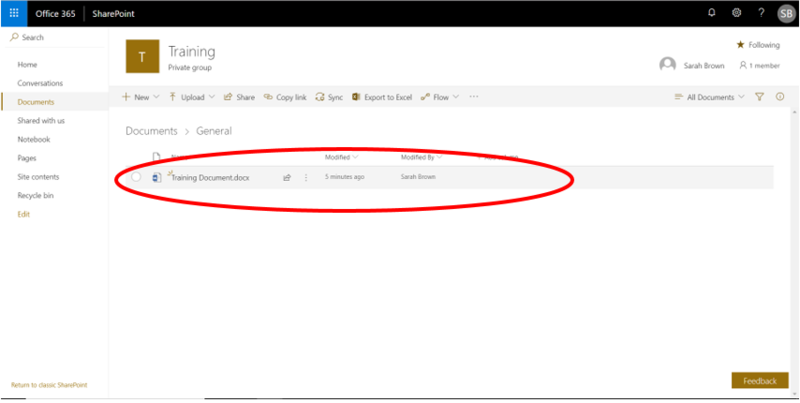 Files that are accessible in Teams reside in SharePoint in a Group that you’ve created in Teams. Teams is a robust option for companies that collaborate on multiple files and creates a workspace to access lots of data by a specific topic very quickly. 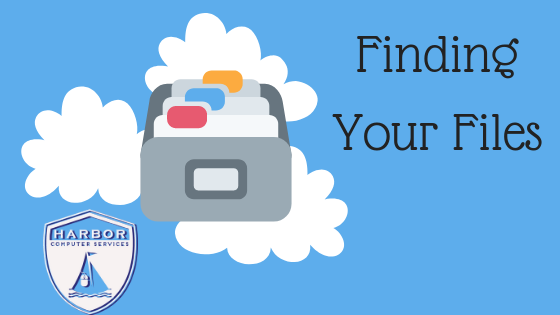 Depending on where your file is originally saved, and what permissions were given to that location, one specific document can show up in various locations. 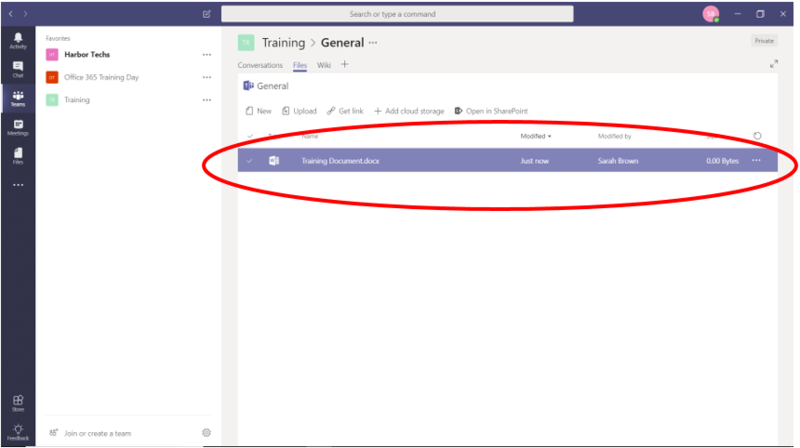 Yes, it can be confusing, but this feature of Microsoft 365 is there because some tasks or roles require different applications to be used. 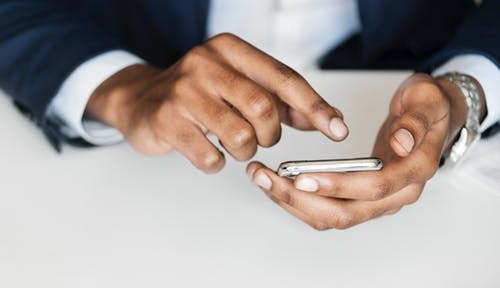 For example, a person in Sales might use Microsoft Teams in their daily work, maybe even with an app installed on their mobile device. They need to access a specific Microsoft Word Document on a regular basis. An Admin may need to update the same document on a regular basis, but Teams isn’t usually a part of that role’s workflow or they may prefer to edit documents directly in Microsoft Word. Microsoft has made this possible through Microsoft 365. Microsoft 365 is designed in such a way that there are many ways to do one task. The folks at Microsoft understand that not everyone learns in the same manner, just as not everyone works in the same manner. Microsoft 365 allows for essentially the same task to be performed in the way in which you are most comfortable. Next post What Can SharePoint Do for Your Company?